This is the ultimate illuminated mirror for your bathroom. The LED lights on the mirror give you¬†excellent light output¬†that you need to go along with the x5 magnification. The sleek polished chrome finish and sandblasted acrylic make this mirror a must-have for anyone who wants to upgrade their bathroom. 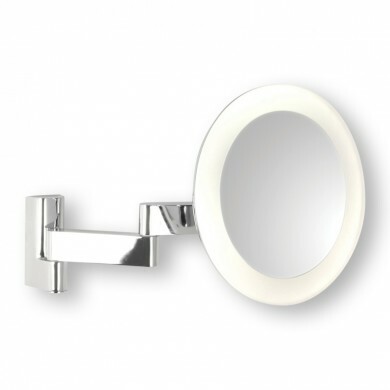 This IP44 rated illuminated mirror is a perfect complement to your larger wall mirror by your sink. 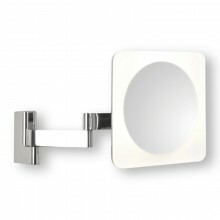 This mirror alone will enhance your bathroom and instantly give it a futuristic atmosphere.